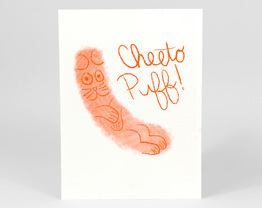 Cheeto (Jason’s cat, pictured left) has been working out lately, and it's starting to show. 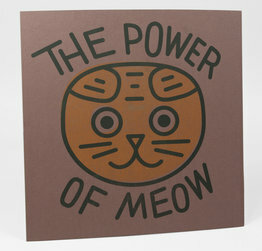 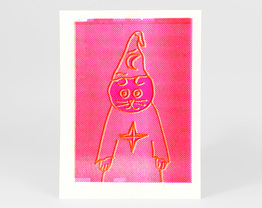 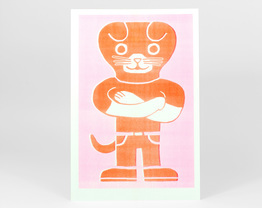 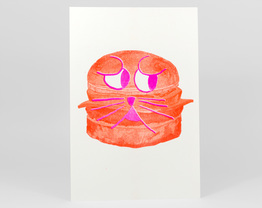 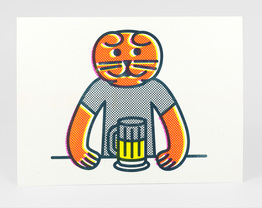 Limited edition one-color Risograph print on a nice card-stock. 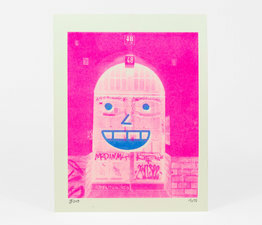 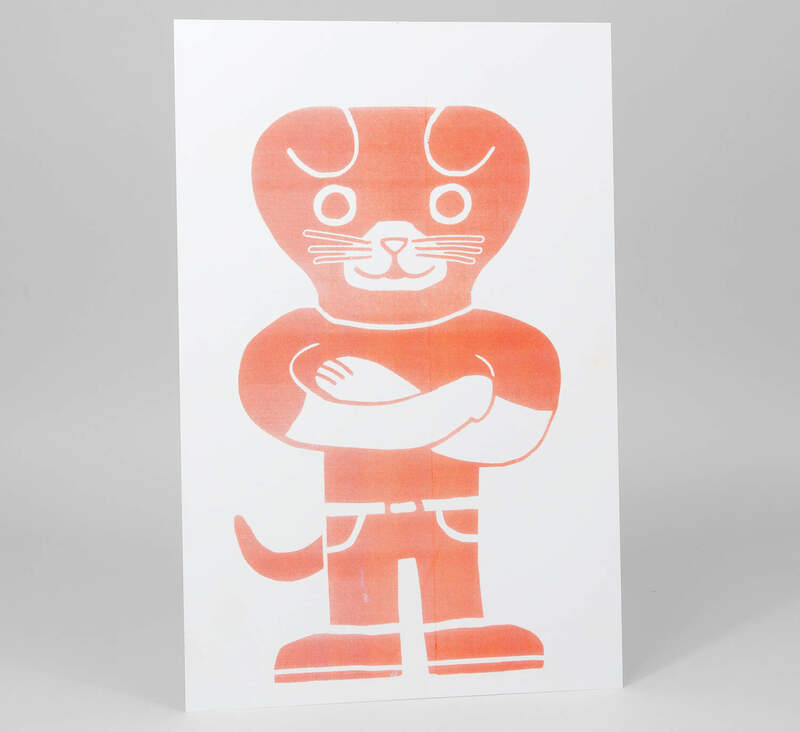 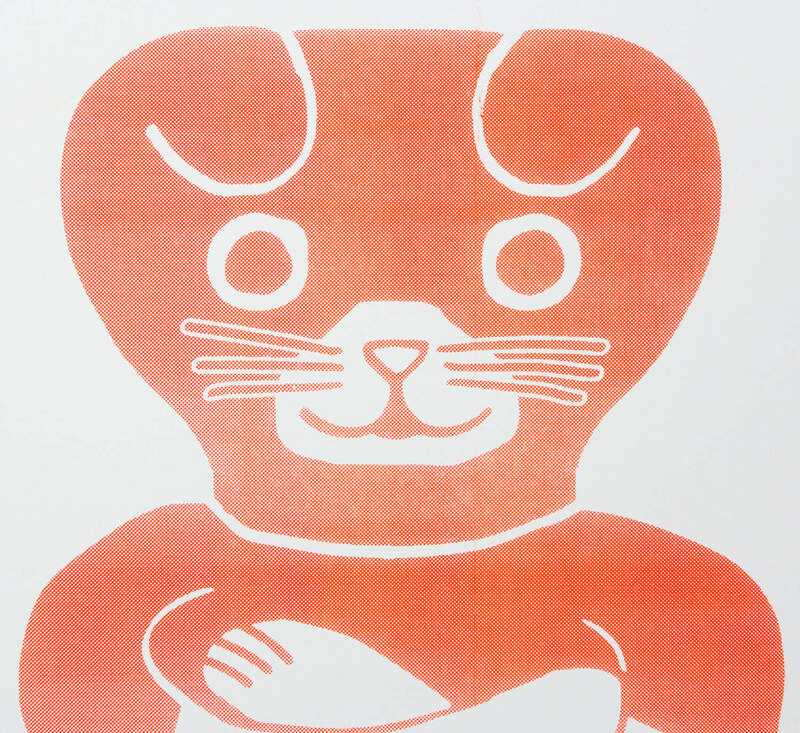 Risograph printers use real ink, similar to offset printing, and achieve a very distinct look and feel.